I would like to welcome Charlene D’Avanzo, whom I first met last year in our climate change short story contest, which Charlene entered. Her story “Hot Clams” was selected for the upcoming anthology Winds of Change. Charlene noted in our discussion group recently that she was working on a novel, Cold Blood, Hot Sea. [Updated note: Charlene’s series was published by Torrey House Press in June 2016.] She is a a marine ecologist and taught ecology and environmental science for 35 years at Hampshire College in Amherst, MA. 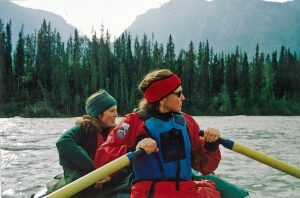 She is also an award-winning environmental educator and editor of several journals. Her piece about environmental mysteries appeared in Sisters in Crime’s First Draft in April 2014. She is also an avid seakayaker who lives in Yarmouth, Maine. With her background in environmental science and writing, I thought it would be so interesting to find out more and include her in our “Women Working in Nature and the Arts” interview series. Thanks to Charlene for participating. Mary: You have an interesting background as an ecologist, researcher, and professor. Can you give us some insight into your work? What are some of your favorite experiences? Charlene: I taught ecology for nearly forty years at Hampshire College in Amherst, Massachusetts, a school designed to experiment with teaching and learning by the other four schools in our consortium (UMass and Amherst, Mt. Holyoke, Smith Colleges). I loved it. So many things I learned from my colleagues and students have served me well in my recent retirement—including being fearless about heading in a completely new direction. I especially enjoyed taking students on field trips. Belize and Vieques (island off of Puerto Rico) were great for marine expeditions in January! Mary: You have written a novel, Cold Blood, Hot Sea, about an oceanographer in Maine threatened by climate change doubters. How much can you tell us about this novel? What inspired you to write it, and do you foresee continuing as a novelist after this book? Charlene: The inspiration to write this mystery came to me as I listened to Ray Bradley, a well known UMass climatologist whose temperature reconstructions are prominent in IPCC reports. Bradley and Michael Mann, an equally famous climate scientist, were embroiled in a vicious climate change doubters’ assault based on their “Hockey Stick” graph. This graph clearly (too clearly, I guess) shows the relationship between industrialization, fossil fuel use, and global temperature increases. Incensed, Bradley detailed the harassment—demands for huge amounts of data, accusations about statements in emails between scientists, appearances before congressional committees, and so on. After Bradley finished his presentation, I sat in the auditorium and watched this smart, generous man field questions from a dozen people crowding around him on stage. He’d devoted his professional life to trying to make sense of the global climate and now was accused of lying about his data by powerful politicians backed by big oil. I desperately wanted to “do something”. But what? The idea just popped into my head. Many fiction writers have used novels to promote social change. Why couldn’t I? No matter that I had no experience whatsoever writing fiction. I could learn. I decided on mysteries because I love the genre and could envisage a story featuring climate change researchers hounded by climate change doubters. Mary: How would you compare your nonfiction ecological writings to a drafting a fictional novel? What writing process do you have for both? Charlene: Learning the craft of mystery writing is the toughest thing I’ve ever attempted. So much to know! After forty odd years writing scientific research papers I’ve learned how to compose logical, precise, concise articles. Some of that carries over—basic grammar, for instance. But much doesn’t. “Show don’t tell” has been hardest to learn. In science, you explain data, interpretation, and so on. But fiction readers learn much about what’s going on through characters who feel, see, touch, etc. For instance, the protagonist in Cold Blood, Hot Sea is an oceanographer who gets seasick. Instead of writing “Mara feels awful,” I have Mara describe cold sweats, bile creeping up her throat, and the mortification of up-cucking on deck in front of everyone. Several practices are key for all writers, I believe—a dedicated place and time for writing, self-discipline, trusted fellow reviewers, and the willingness to revise until it’s right. After five years of workshops, editors, and revision, revision, revision, I’m finally making progress. I have an agent to shepherd the book through the absurd process of finding a publisher, and my writing is getting some recognition. For instance Mystery Writers of America just awarded me a grant to use for an upcoming writing workshop in Maine. Mary: Congratulations on the grant and on finding an agent who believes in your work. Do you think that fictional scenarios about climate change can change minds; what about changing the minds of climate deniers? My book targets an audience who are primarily female, love mysteries as opposed to thrillers, enjoy the outdoors, and like learning something new. Most probably understand what’s happening with the climate. But they may not appreciate the harassment, including threats to families, that too many climate scientists have endured. Also, I hope readers will better appreciate what scientists actually do and why they often say “it depends”. Instead of self-publishing, I decided to go the traditional agent-publisher route. While that takes much longer, the process has forced me to write a better book. Also, I know little about promoting books. A good publisher will help me. 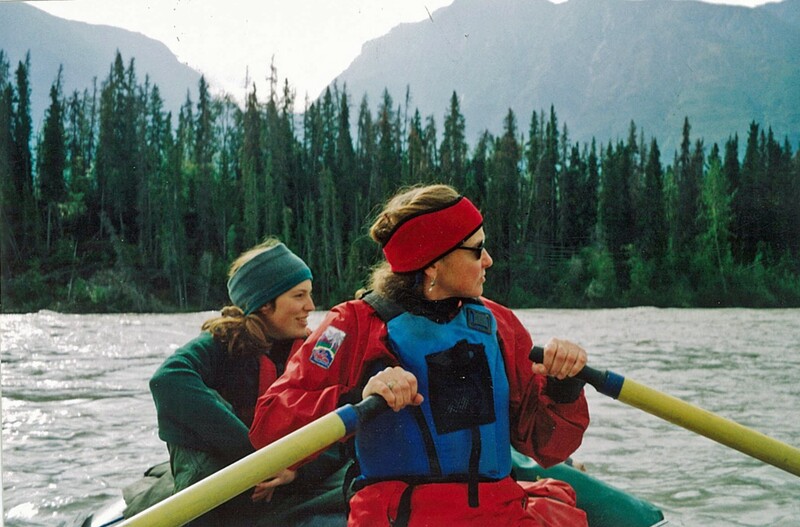 Mary: This is something that I’ve asked most other women in this series of interviews: what encouraged you to grow up to care so much about the environment? Charlene: I’ve always loved skiing, swimming, and all that. The first Earth Day, which happened as I began graduate school, opened my eyes to environmental degradation. I’ve always been drawn to water and watching the Cuyahoga River burn and rivers everywhere thick with sewage horrified me. I shifted my PhD research towards impacts of urbanization on coastal waters. Mary: Interesting. I recently started a “Song of the Week”, and the week of March 1 I posted REM’s song about the Cuyahoga and featured it here at the site. I am glad this concerned you enough to shift your studies and research! Thanks so much for this interview, Charlene. I am really looking forward to your novel.